AutoCam360™️ by Kessler is a fully automated system that allows you to shoot and create 360° spins, multi-row (3D) product views and video for e-commerce and commercials. 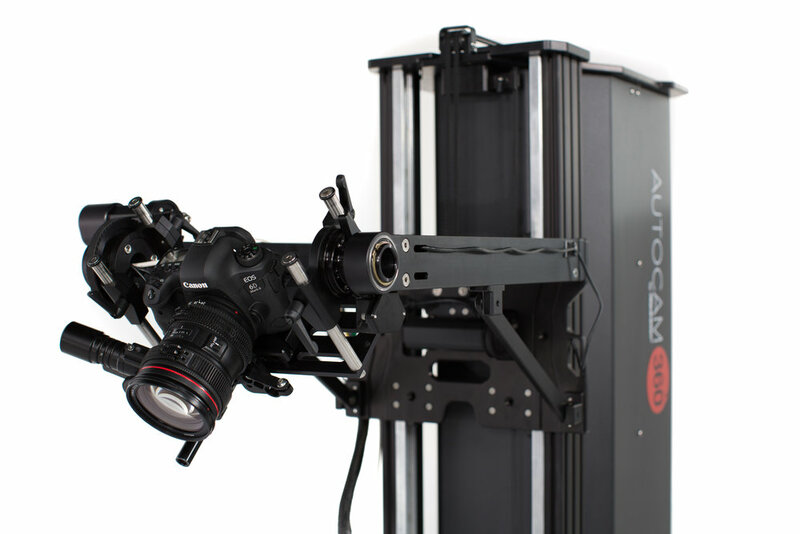 AutoCam360™️ is designed, manufactured and supported in the USA by Kessler, the industry leader in motion control for film and photography for over a decade. Our experience, knowledge, and expertise have poured into the making of AutoCam360™️. We make innovative tools for filmmakers and photographers. Our automated system allows you create 360° views of your product with ease and precision. Shoot amazing video with professionally automated camera moves on multiple axes including focus and zoom (With optional FIZ Motor Kits). Shoot products from numerous angles with rotation to create animated 3D type views of your product. Easily convert images into 3D models for use in web, video, video games, simulations, set design, animation and more! AutoCam360™️ gives you 41 inches of vertical camera movement. AutoCam360™️ gives you 34" of horizontal camera movement. Easily create a perfect arc over a product for full coverage. 180 degrees of tilt allows you to pitch up to a product from below or point straight down from above. Our turntable can do as many spins as you need, left or right and at multiple speeds. With optional FIZ Motor Kits for Focus and Zoom you can adjust focus and focal length remotely for perfect images that are always sharp. See what your camera sees with live view which is built directly into our control application. Control dimming, color temperature and saturation with up to 512 channels of DMX lighting control. Session Manager allows you to enter description, SKU#, UPC/GTIN, and custom Meta Data for photos and videos making asset tracking and management a breeze. 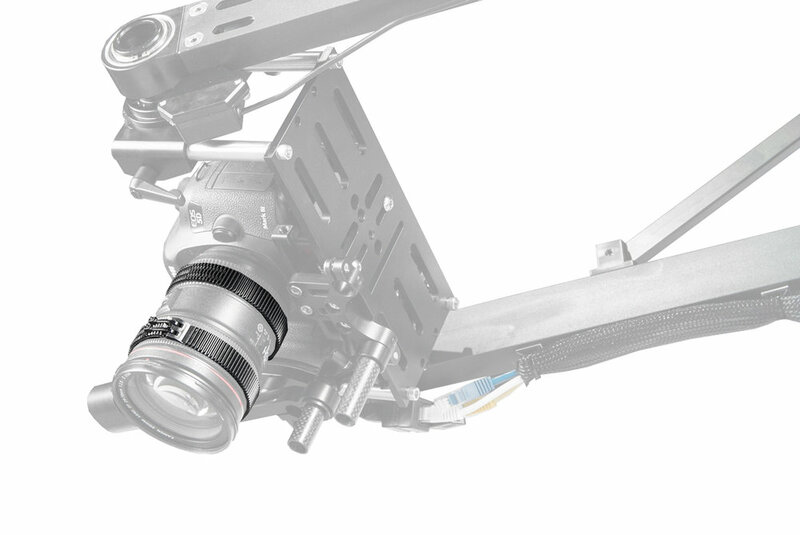 We realize one size fits all really doesn’t always fit all, which is why AutoCam360™️ has numerous accessory options to meet your specific needs. Need to control lighting? We have a solution for that. Need to adjust focus during a move? We got you covered on that as well. AutoCam360™️ is a complete solution for product photography and videos. You can add up to 2 FIZ Kits to your AutoCam360™️ to easily control any combination of focus, iris or zoom. The camera power supply option eliminates the need to swap batteries through out the day by continually powering your camera. Our universal adjustable add on gears allow you to use our FIZ Kit Motors on any lens. The 36” wide Adjustable Elevated table allows you to shoot products at 10” or 29”. 1. REMOTE CAMERA CONTROL: Feature currently compatible with most Canon and Nikon DSLR’s. 2. LIVE VIEW: AutoCam360™️ can trigger most brands of cameras but our Live View features are currently only compatible with most Canon and Nikon DSLR cameras.